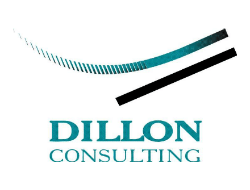 Dillon Consulting Sydney office has been operating since 1991 and is located on beautiful Cape Breton Island. They provide services in environmental management and remediation, civil/process engineering, hydrogeology, waste management, human health and ecological risk assessment, occupational health and safety, industrial hygiene and regulatory and program management, construction administration and geographic information systems development and analysis. The office, located in the main business core one block from the harbour front, is equipped with an impressive team of professionals who provide a full range of engineering and environmental consulting services to serve the diverse needs of their client.